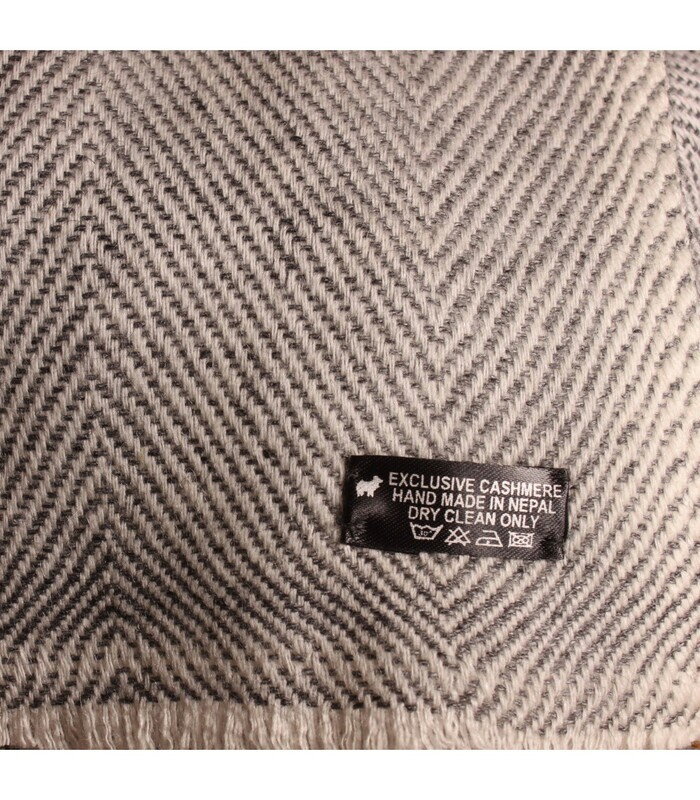 Hand wooven in Nepal, amazingly soft and incredibly warm exclusive cashmere blanket. 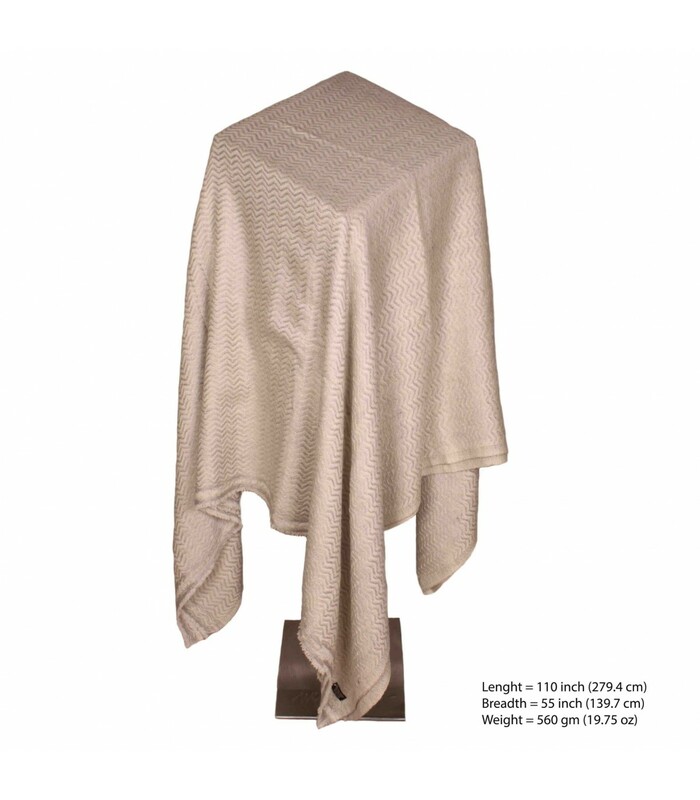 The blanket displays a diagonal herringbone weave with understated colour palates of beige and off white adding to the richness off the cashmere. The blankets have an interlocked edges around the length and small fringed edges around the breadth and have a generous amount to cover and keep you cosy.